1333: The known world is locked in a holy war. As a godless mercenary company slogs across Europe in search of sustenance and coin, they encounter a demonic force born not of hell, but from beyond the stars! 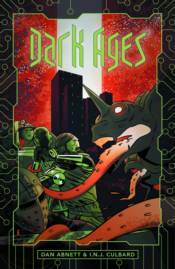 Collects Dark Ages #1-#4.